i have to report, once again, sadly, that there has been no sale in the months of May and June so my Orphan of the Month for those months, DENNY, did not get anything added to his grant. So DENNY stays on as Orphan of the Month for July and August! This is the last chance we will have to add to DENNY‘s adoption grant. After August, he will join other 10 years old and above children and be added in for the pooled grant of US$10,000, which will be given to the family who steps forward to adopt him when they are successful in their application to Reece’s Rainbow for a Family Sponsorship Page (FSP). DENNY is said to be a spunky little one who is a favourite with the carers at his orphanage. They think he is special. His medical need is hydrocephalus. He is obedient and very helpful. He is caring towards other children and has normal development in his gross and fine motor skills. His language skills are below par for his age but he understands all instructions and is potty-trained. He is introverted but he smiles a lot. DENNY sounds like such a sweet boy and a wonderful addition to any family. 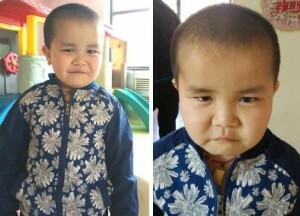 An adoption within his own country would be very unlikely because he’s an older boy and because of his medical condition. A costly international adoption is the best chance for him to have a family of his own. His grant with Reece’s Rainbow is currently at US$4.95. i would like to see that grow to at least US$50. Please help me to grow DENNY‘s grant! During the months of July and August, shop at Angel Crafts Shop and 50% of all sales will go to DENNY‘s grant. So come shopping! Please do also pray for DENNY; pray for his daily needs and most of all, for a family to step up for him. You can also share his story so more people can help. Click on his name or picture to go to his profile page. Thank you very much.